insects, mildew, weather, and more. or insecticides to your home. 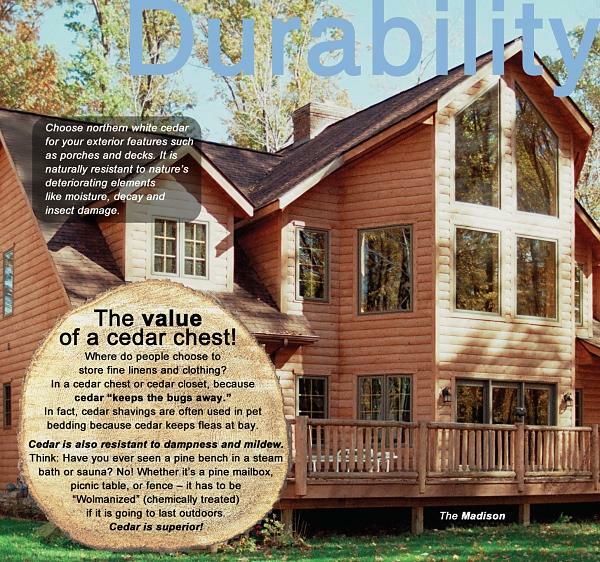 northern white cedar is the clear choice. are kiln-dried to reduce moisture content. Northern white cedar is the wise choice.